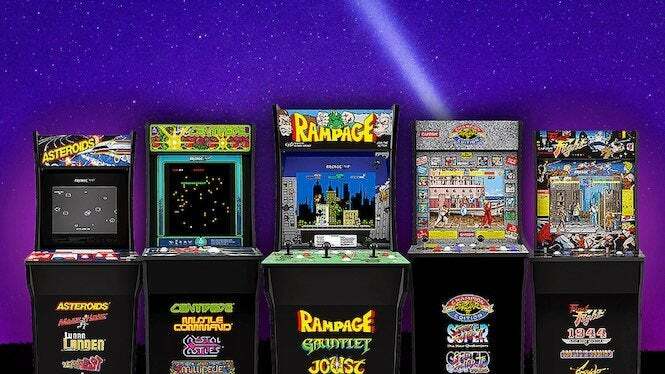 While video game arcades may not be what they used to be in the 80’s, there are still quite a few of them around, thanks to bar/arcades and old-school places popping up left and right, offering nostalgic memories for around 25 cents a pop. And for good measure, with the holidays being around and all, there are a number of ideal gifts that you can give to the friends and family in your life that love their retro gaming goodness, from smaller things that you can slip into their stocking to deluxe-sized masterpieces that will make them love you forever. So join us as we look at some of the best video game arcade-themed gifts you can provide this holiday season. And no need for a change machine, either! 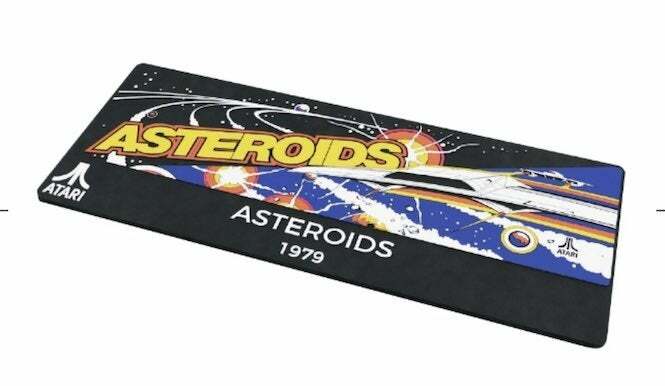 New Wave Toys offers this shrunken-down version of the hit Atari classic, which is perfect for any desk. 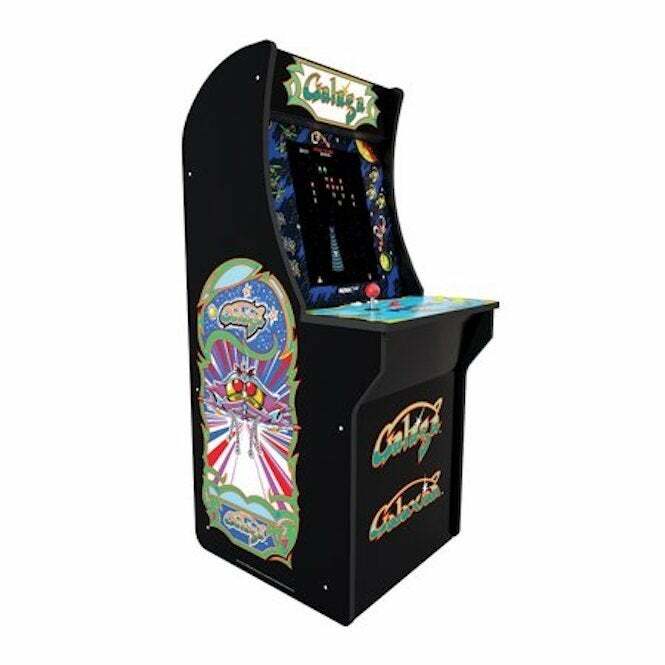 It showcases all the great features of the coin-op, including a nifty little trackball controller, a light-up marquee sign, options that can be adjusted with the coin slots and more. And it delivers all the fun shooting action you can expect from this old-school favorite. The game goes for a hefty price, but as you can see by our review, it’s well worth it, especially if you lived and breathed blasting bugs back in the good ol’ days. And there’s more where that came from, as Replicade is hard at work on miniaturized versions of Tempest and Street Fighter II to boot. 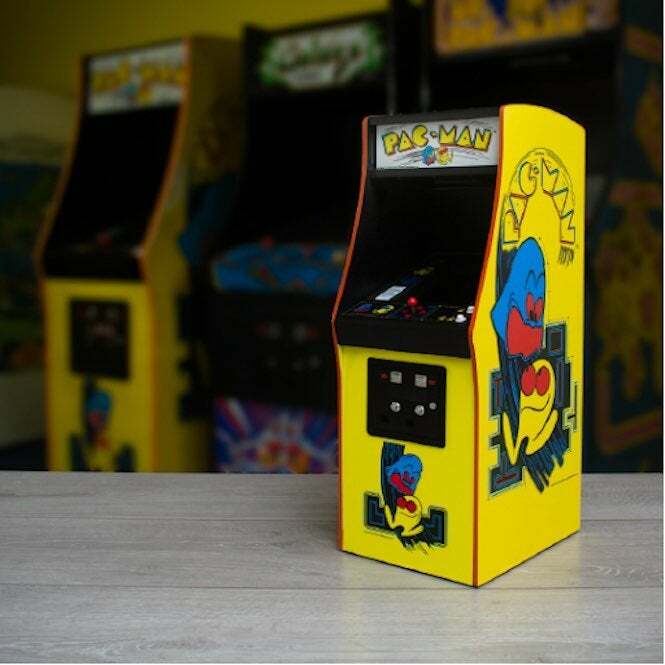 Better make room on your shelf for a mini-arcade! 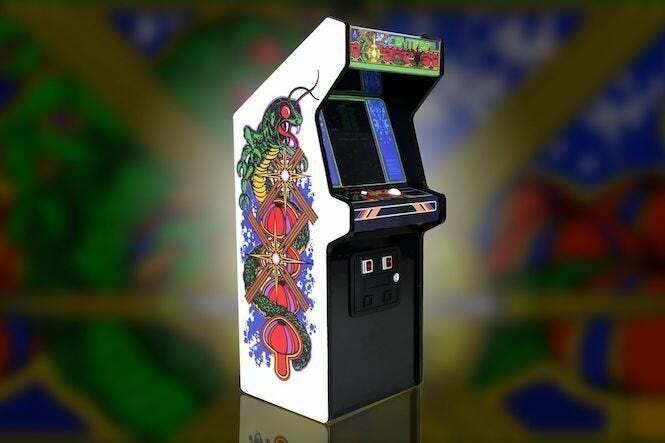 You can buy the Replicade Centipede machine here! You can learn more about this awesome floor mat here over at Numskull. And while you’re at it, make sure to pick up a few pairs of Atari socks for good measure! 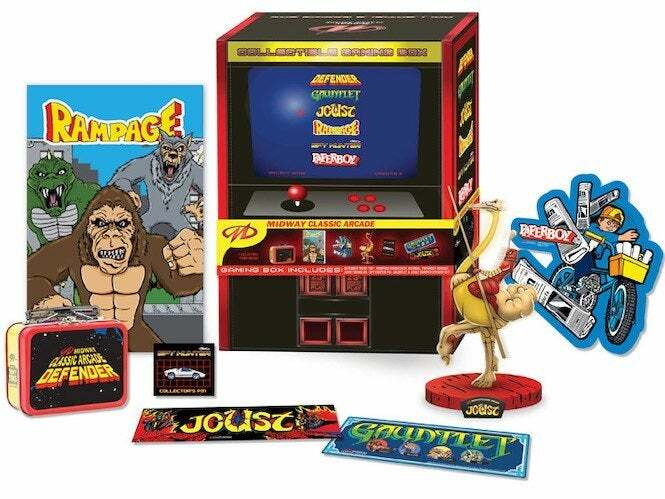 If it’s another budget gift that you’re after -- but someone that still wants to give that old-school love -- then look no further than this sweet Midway goodie box, loaded to the hilt with classic gaming memories. Going for a smooth $20, this box includes a miniature Defender lunchbox; mini stickers for Joust and Gauntlet; a Rampage coloring book (sorry, Dwayne Johnson not included); a Joust Boinger toy; and a Paperboy sheet magnet. It’s a small amount of goodies that’s perfect for a stocking stuffer, or even a mystery gift for a party. You can get this fun little package here at Target. For good measure, don’t forget to grab this awesome Joust collectible snowglobe to boot! Looking to make a bigger arcade impact for that loved one, but don’t necessarily want a dusty old machine that requires a whole lot of maintenance? Arcade1up has the solution for you with its lineup of conveniently sized arcade games, recreating the era of the old-school machines -- right down to the control styles. They’re a bit on the short side, and high scores can’t necessarily be saved, but you’ll find these games recreate the era like a charm. Out of the machines available, we highly recommend the Galaga/Galaxian two-pack; the Rampage four-pack with Gauntlet, Joust and Defender; and this lovely little number featuring the Street Fighter II trilogy. (Oh, and don’t forget to get a Riser as well, since most of your friends are probably pretty tall.) See our review for additional details! Units are shipping now, so if you check out Numskull’s site, you should be able to get it just in time for Christmas! Read more about the game here. Happy shopping! We’ll have more gift ideas over the next few days!